One day in Birmingham – and we were all ears. 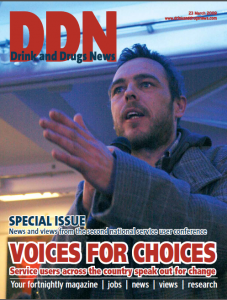 There’s a lot in this issue and it’s been hard work to put together – but that’s an accurate reflection of our DDN/Alliance service user involvement conference in Birmingham. The hard work at the event extended to the delegates, who contributed their views and participated willingly – in the conference hall, during their breaks when they answered questions from our superb band of volunteers, and through going to the video room to give their views on camera. We’ve pored over the results of this research since coming away from the event. We realised from the outset that we were not looking to collect scientific data, but capturing a snapshot of service user experience. What struck me most was the conviction of the commentators – there’s not much sitting on the fence, but a clear view of what worked or didn’t work, and why. What also stood out was the difference a worker’s personality and commitment can make to the treatment experience and its chances of success. We’re so used to hearing how the system fails through lack of investment and public prejudice, but success or failure in so many cases depends on a clued-up keyworker who respects the person’s preferences and circumstances, listens to them, and opens up a new world of realistic and viable choices. 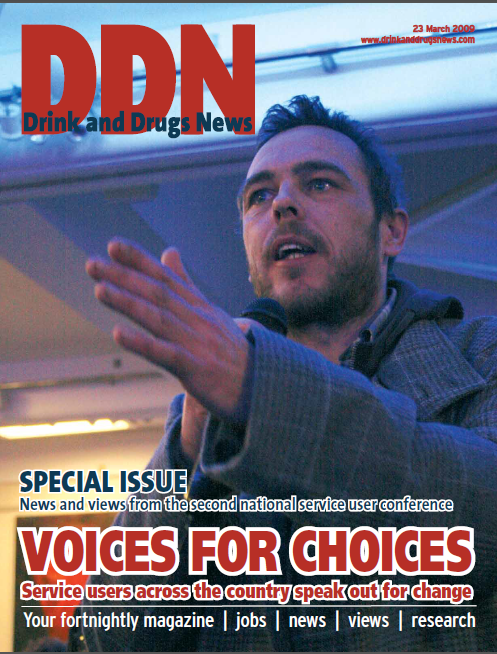 As with anything in life, if the subject is fully involved in making that choice there is a much greater chance of it leading to the desired goal, so it was surprising to come across many other examples of decisions being enforced on service users, particularly where prescribing is concerned. The other major concern was the level of ignorance exposed, particularly on the effects of polydrug use, the signs of alcohol dependency, and detecting mental health problems. By talking and listening we can at least try to get to the root of what’s not working – so lets take debate way beyond one day in Birmingham.